Hand-Craft a Life You Love to Live. Sharon Barnes offers periodic online LifeCraft™ Webinars. There are times when reading web pages, blog posts, books and articles just isn’t suitable. You want to be able to ask questions and interact. BUT you don’t want to have to travel across town or around the world to attend. That’s when a Webinar comes in handy. You participate online, where you have a visual of the slides being shown as well as the video feed of the speaker(s). You may listen by phone or your computer speakers, and you may ask questions and interact with the speaker. In some LifeCraft™ Webinars, Sharon is the speaker. Other times, she brings in a Guest Speaker. 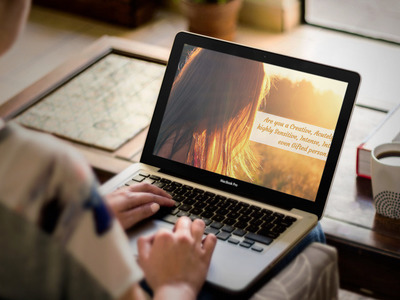 Each LifeCraft™ Webinar is focused on some aspect of helping CASIGYs™ (Creative, Acutely Aware, Super-Sensitive, Intense and/or Gifted You-s) Craft a Life You Love to Live! Some are relevant for adults, others for parents and teachers of children, teens or young adults. Watch this spot for future webinars! Did you miss a previous LifeCraft™ Webinar? Here’s our Featured Webinar Recording! Here’s a Few More of Sharon’s Previous LifeCraft™ Webinars. (Just click on the title to watch each one). Is Your House Haunted by the Mayhem Monster?